Leased from January-May 2019 Gorgeous, Open and Furnished 2740 Sq. 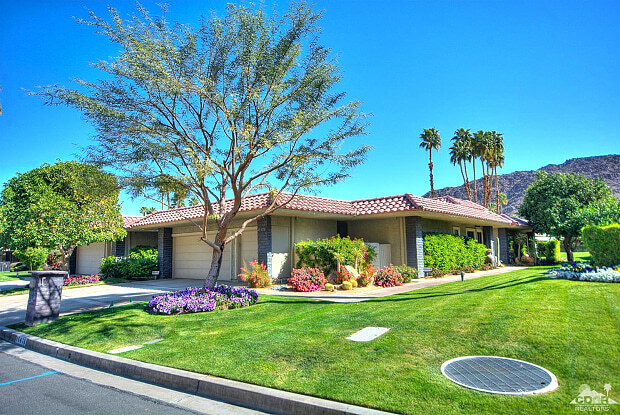 Ft., 3 Bed, 3.5 Bath, Indian Wells CC condo with remarkable Mountain Views overlooks private HOA tennis courts; close to 2 sparkling pools with jet spas. Extended north facing fenced patio has panoramic views! Shows like a model with many upgrades. Beautiful Gourmet Kitchen has lovely granite countertops, an island, stainless appliances include Wolf Range, Viking warming oven, separate bar with Viking wine cooler. Great Room with high ceilings, gas marble fireplace. Large cozy outdoor atrium with awesome mountain views, great patio seating, fire pit, and ledge rock wall that opens from Great Room. Plantation Shutters, wood plank tiled floors, formal dining, laundry room, spacious bedrooms with en-suite baths, dual sinks, stone countertops. 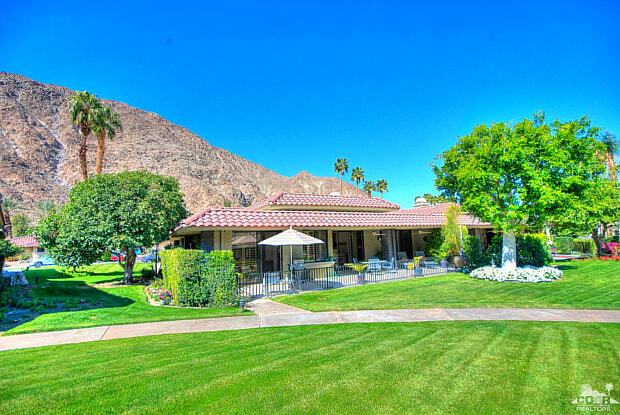 Master Suite boasts great views, 2 Master closets, and newly remodeled bath. Have a question for 46676 Quail Run?